The world of peptides therapy is a growing field in medicine ranging from improving skin care, growth hormone, to one’s immune system, to name a few. On PubMed there are over 2.5 million articles on peptides. It is estimated that humans have over 250,000 peptides and we only understand a fraction of them. Peptides are chains of amino acids linked together by a polypeptide bond. The formation of a polypeptide bond by a dehydration synthesis will be reviewed. The difference of a peptide versus a protein will be delineated. In addition the mechanism of action on how peptides work will be reviewed. Brain health is an important consideration for health and well-being. To date, drugs targeting a single pathological pathway have failed to show clinical efficacy for concussions, TBI, memory loss and dementia. Nootropic peptides are pleiotropic agents with effects on multiple mechanisms of brain injury that are an effective option to improve brain recovery and clinical outcome for restoring brain health. Growth hormone is an essential hormone in lowering body fat, improving on lipids, keeping muscles healthy and improving on bone density. Adult growth hormone deficiency symptoms will be reviewed and the association of higher mortality with growth hormone deficiency. Unfortunately the treatment with recombinant human growth hormone is not covered under most insurance plans and it is also cost prohibitive for most people. There is an alternative to the expensive recombinant human growth hormone mostly commonly used for boosting IGF-1 and has the advantage of inducing all five of the hGH isoforms rather just the one that is found in the synthetic form. CJC-1295, Ipamorelin, GHRP-6, Teslomorelin and others are peptides that have been shown to help improve IGF-1 levels. It is estimated that there are about 250,000 peptides in the human body. We only understand a fraction of all the peptides. This talk will cover a wide range of issues. Delta Sleep Induced Peptide can help with restoring sleep. Epithalon is a peptide discovered by a famous Russia scientist Dr Khavinson. He has published extensively since the 1970’s and has published the longest human study on epithalon improving longevity and also increasing telomere lengths. A new drug is being developed to help with sexual dysfunction. This drug is the peptide Bremelanotide PT 141. The love peptide hormone kisspeptin will be reviewed. In addition Semax will be discussed to help with memory. Recent advances in peptide biology have found multiple peptides capable of exerting therapeutic benefits in the treatment of cancer. This lecture will discuss peptide classes, mechanisms of action and proposed protocols for incorporating peptide therapy in the treatment of cancer patients. Immune dysregulation, a universal characteristic of autoimmune diseases, can be targeted through the use of specific peptides. This lecture will present the rationale for utilizing peptide therapy in the management of autoimmune diseases. T-cell modulation, OGF axis and other mechanisms of action will be highlighted. Cases and protocols will be discussed. Murderers, Rapists, and Terrorists have rights, but physicians do not! You are guilty and you can not prove your innocence. 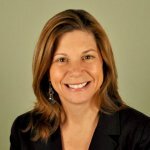 The facts are, a doctor can have a license sanctioned, suspended, revoked, limited, be bankrupted, disgraced, and made unemployable, based on an anonymous complaint that might have come from a disgruntled employee, a jealous competitor, an insurance company that doesn’t want to pay a bill, or a drug addict who wants a lighter sentence. And you have no right to know who the accuser is or even what you are being accused of committing. Board employees function as investigator, prosecutor, judge, jury, and executioner. The politically appointed members of the board almost always rubber-stamp what the board staff wants. The staff generally controls the flow of information to board members and accused doctors. The doctor has no right to cross-examine accusers, to ask that conflicted or biased staff be recused, or to challenge the evidence against him or her, which he might not even have seen. In short, modern day medical boards are the equivalent of medieval Consiglio dei Dieci only falling short by not being able to send you to the Judas Cradle. So how do you protect yourself? In this lecture we will explore the many avenues you can approach to provide as much protection as you can for your hard earned medical license. There are about 300 theories of aging ranging from the neuroendocrine, free radical, cell membrane, Hayflick limit, mitochondria, cross link, autoimmune, glycation, and others. Most scientists have narrowed the specifics of what affects how we age down to 2 theories. The first group states that aging is natural and programmed into the body, while the second group of aging theories says that aging is a result of damage which is accumulated over time. Working on hormonal optimization, removing toxins, improving on nutrition, reducing stress, and increasing physical activity helps in slowing the aging process. In addition, using 3 peptides can also help in slowing the aging process. The peptides Epithalon, Thymosin Alpha 1 and BPC-157 help improve the telomeres, reduce inflammation, improve on the production of type 1 collagen and also improve the immune system. Pertinent medical studies on the 3 peptides will be reviewed in this talk. Peptides are natural bio-regulators with diverse effects in the body and are emerging as a novel therapy for bio-regulation. Peptides function in cell-signaling and exert regulatory actions on neuro-endo-immune function. Presently, peptides are used in orthopedics, and neuro-endo-immune conditions for the treatment of injury, pain syndromes, IBD, brain health and immune system dysregulation. Dr. Edwin Lee is an endocrinologist, author and international speaker. 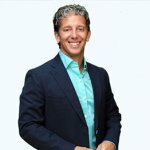 Dr. Lee founded the Institute for Hormonal Balance, Orlando, FL in 2008, is board certified in Internal Medicine, Endocrinology, Diabetes and Metabolism, and has completed special training in Regenerative and Functional Medicine. 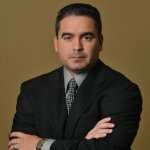 Currently, he is the assistant professor of Internal Medicine at the University of Central Florida College of Medicine. 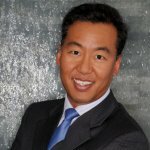 In addition to writing his award winning books, “Your Amazing Heart,” “Your Awesome Brain,” “Feel Good Look Younger: Reversing Tiredness Through Hormonal Balance,” and “Your Best Investment: Secrets to a Healthy Body and Mind,” Dr. Lee has published many articles on internal medicine and endocrinology. He was also an author in the fourth edition of Textbook of Critical Care. His passion is healthy living and he practices what he preaches. He enjoys participating in open water swimming, cycling, hiking and Aquabike competition. Dr. Edwin Lee resides in Orlando, FL with his wife and 2 teenage boys. 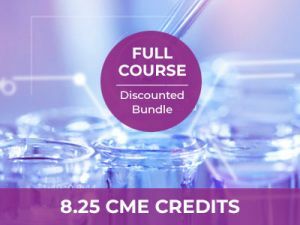 Discounted Bundle: Purchase the full Clinical Use of Peptides & Peptide Therapies Series of courses + bonus panel discussions not available with individual course purchases. Complete ALL lessons in this series. Complete the Course Evaluation at the end of each lesson. A copy will also be emailed to the address you used to sign up.